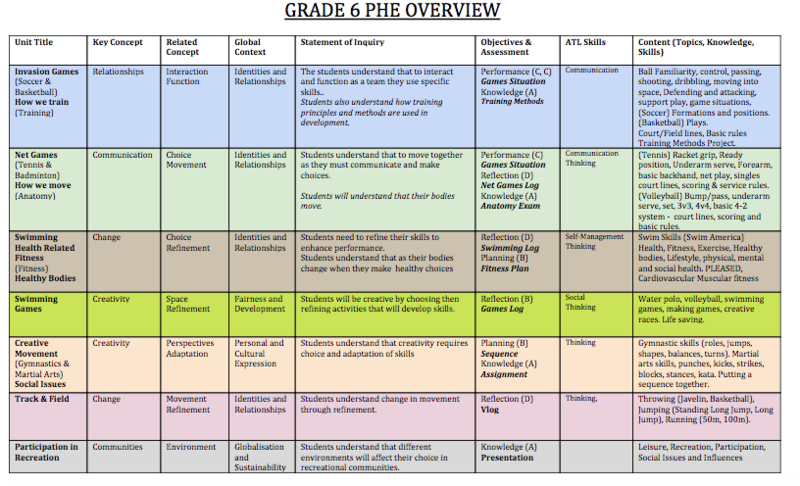 These are examples of Curriculum Overviews that have been shared with the PHE community. Below are two examples from Grade 6 or MYP 1. A grade 6 overview from International School of Dusseldorf. 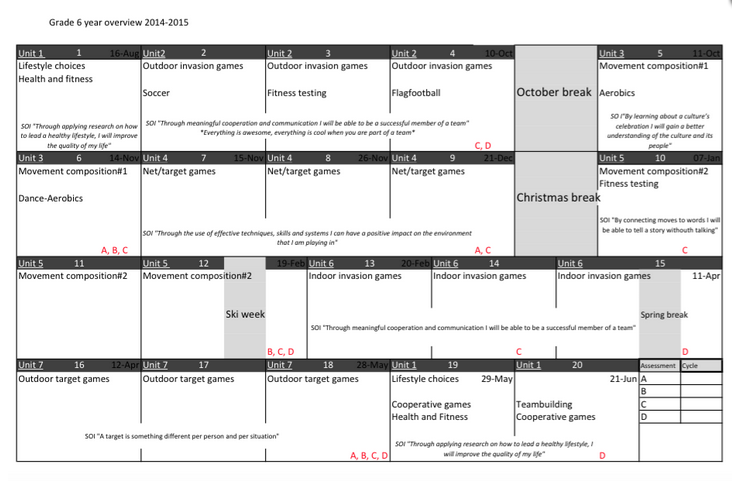 This example is from @MrsLieke although set out in a different way is still a very useful layout.